Posts about technology, including tips, tricks, and hacks. 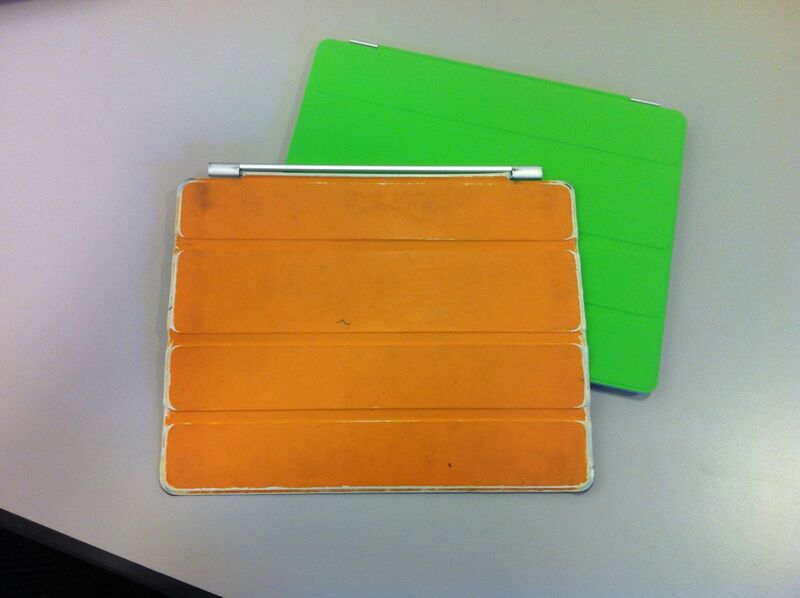 After two years of protecting my tablet from constant abuse, it was finally time to replace my orange iPad Cover with a spiffy new green one. The orange cover was pretty beaten up: the hinge had started to rip, causing the cover to slide out of position while I was holding it, and the cover itself looked dingy despite repeated cleanings. I chose the green one rather than another orange because it stands out better against the background of my daily life. It’s hard to miss when sitting on my desk, and it stands out nicely against the grey lining of my backpack (which is always helpful when doing those last minute checks before a road trip. The question now is … how do I recycle the old one? The ITS Coffee Break for August 2013 is now available. Courtney and I managed to get out a new episode of the ITS Coffee Break in June, which is impressive given how many trips and vacations we had. Episode #76 looks at Google Loon, File Sender, summer reading lists, and technology teaching grants, CLAMP Recognition Awards, and much more. Get the podcast. I added some thoughts on responsive design to the ITS Blog. Viget Labs, the firm that did Lafayette’s web redesign and our recent mobile project, is featured in an article by Google about how they improved PUMA’s web site using analytics. What if GLaDOS replaced Siri on the iPhone 4S? The problem with Siri is that she’s just too … friendly. GLaDOS (of Portal 2 fame), with her constant barrage of sarcasm and derision, would mix things up nicely. Of course, she’d also try to kill you, but hey, all great advances in technology come with a few drawbacks.